Ingredients: sugar, cocoa butter, whole milk powder, cocoa mass, emulsifier: soy lecithin, natural vanilla (Cocoa solids 33% min; Milk solids 20.5% min). These cute penguin shaped chocolate treats are made with delicious milk chocolate. They are great as a little gift or in a Christmas stocking! 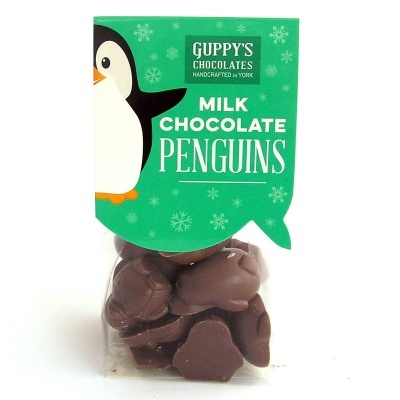 Hand them out at your next Christmas party as little festive favours.